OK, in real life, it might not be practical to break all the rules, but when it comes to beauty, some rules are meant to be broken. There’s no need to stick with the status quo if it doesn’t make you look or feel good, right? 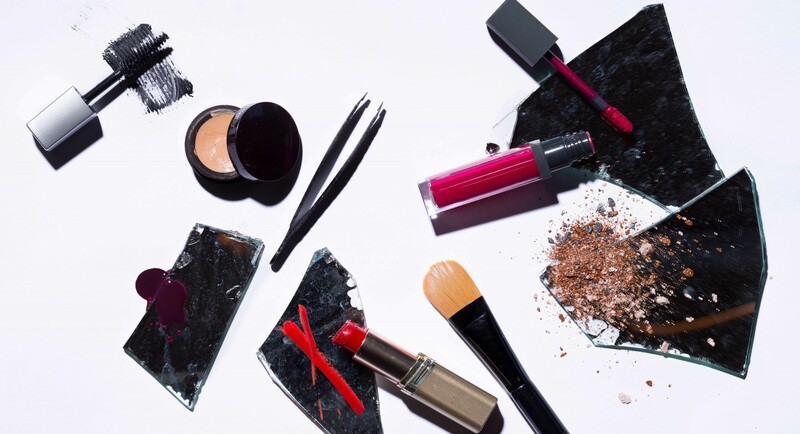 Here are five beauty rules you shouldn’t be afraid to break. Wash or wet your hair before bed. Run fingers through from roots to tips to separate and create space for volume. Lay your head down with hair splayed up and over the pillow. For a little frizz control in the morning, just add one to two drops of argan oil to your palm, rub hands together, and then gently run them through hair, scrunching all the while, avoiding the roots. Done and done. Note: Keep in mind that this method may work best on longer hair types. For really fine hair, twisting wet hair into a high bun or braids may generate more waviness. Twice-daily face washing is a habit that can do more harm than good—it can leave skin parched. Definitely be sure to cleanse off all makeup and dirt from the day each night, but come morning, it might not be necessary to repeat. A splash of water should suffice for a quick skin pick-me-up before smoothing on some moisturizer. If you’re oily and want to cut any excess buildup that may have happened overnight, instead of reaching for face wash right away, simply dab some witch hazel onto a cotton ball and swipe it over the face for a clean slate. See how that works for you and you might find that your skin stops overproducing oil. Oil-free skin care was all the rage in the ’90s, when thick mineral oil was demonized for its tendency to clog pores and cause acne. But nowadays, we’re wising up to the benefits of certain types of oils, even on acne-prone skin. Overloading on oil-free cleansers, for instance, can dry out even the greasiest skin too much, causing it to produce even more oil, which then leads to breakouts. Lighter beauty oils like jojoba, grapeseed, and rosehip can break the cycle, moisturizing and rebalancing the complexion, while providing skin-saving antioxidants. Simply massage a two to three drops into skin after washing. Ever been tagged in flash photo on Facebook that exposed ashy spots on your chin? That concealer blunder was not your fault. For years, makeup artists have advised going one shade lighter with concealer, to brighten up dark circles under the eyes as well as help lighten up spots and scars from bygone blemishes. 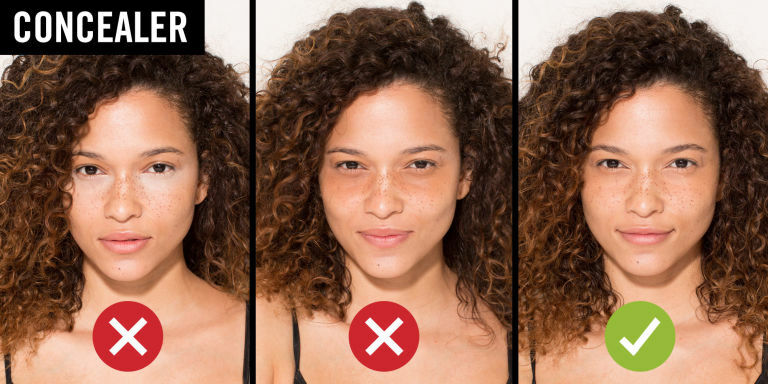 While it might make sense in theory, from personal experience, lighter concealer can look really unnatural—the same goes for too dark—especially in the wrong light. Since you most likely don’t have a crew following you around and bathing you in the most flattering light all day, every day, play it safe and search for a trusty concealer that matches your skin shade as closely as possible for the most natural, fresh-faced look. To know for sure, test it directly on your face rather than on the back of your hand. Here’s a lazy-girl tip you’re gonna love. Tweezing is another ’90s-era trend that can go. When it comes to facial features, bold brows make the ultimate statement, somehow giving an instant facelift. If it’s good enough for Sofia Vergara and Cara Delevingne, it’s good enough for us! If you’ve gone a little tweezer-happy in the past, there’s hope. Some say applying olive, castor, or vitamin E oil onto your brow can help stimulate regrowth. It may take several months and a lot of patience, but cool it on the tweezing for a while—it’ll be worth it. Once your natural brows have come back to life, avoid plucking anything but the odd stray hairs for maintenance.